Don’t despair… I haven’t given up LEGO Technic but I have been lately assaulted by a strange love to LEGO Trains. 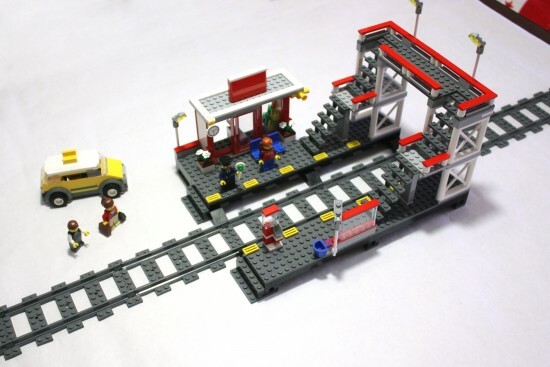 So after building and reviewing for you the 7938 Passenger Train and 7939 Cargo Train, it was time to build the LEGO 7937 Train Station. The model looks really cool and it has quite a lot of room for your imagination. So let’s review it. 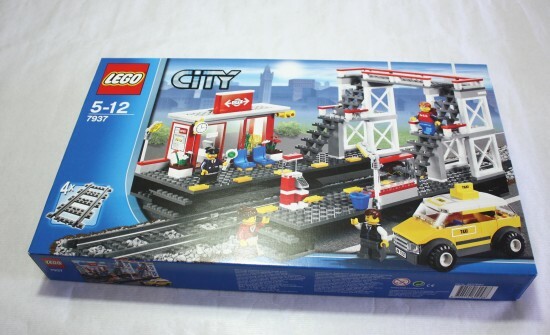 Where can I buy LEGO 7937? 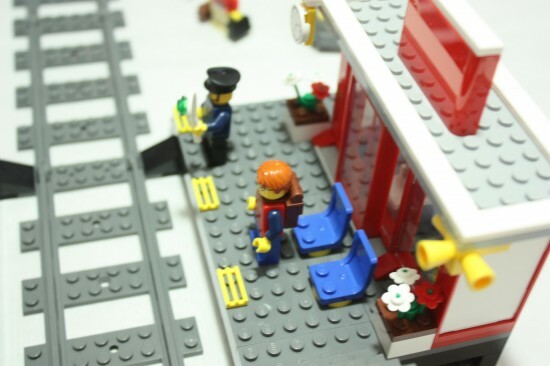 The railroad station’s open, service has begun and it’s teeming with activity as passengers check train timetables, buy tickets and board their trains. To cross to the other side the passengers take the pedestrian bridge. The taxi waits to take passengers to their final destination. 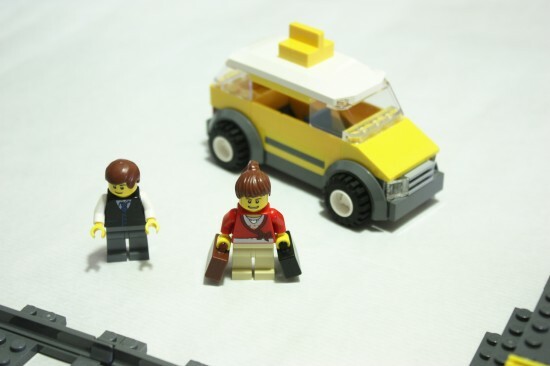 Includes 4 minifigures: 1 train driver, 1 taxi driver, and 2 travelers. It isn’t a quite big LEGO box and most of it is full… so kudos to LEGO. It features a front part with the train station, the tracks and a lovely yellow taxi. The box’s back part shows you the endless possibilities of this set ( just joking! ) 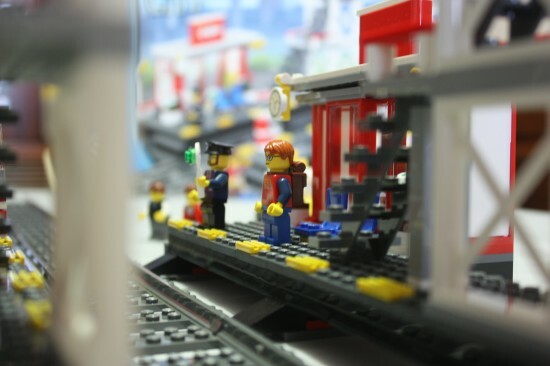 and the cool photo of several trains in what looks a big LEGO City train station set. It really works on making you want badly. There are three manuals for this set, one for building the Taxi car or cabs as British says and two for building the station. It is a lovely set to build, it comes to shape quick and it takes you enough time to enjoy it and in the other hand it isn’t hard at all to build. As I have said I have enjoyed building it. Not sure if my expectations were quite low or what but I have really enjoyed and liked this set. Let me show the different parts it has. The taxi looks fine. It isn’t the best looking LEGO car I have built but I have to admit that it does the work and it is quite straight forward to build. I didn’t add any stickers to my model and I am wondering if I should have. The little shop is lovely with lots of details like a computer, flowers, glass bottles and as well as a moving door. 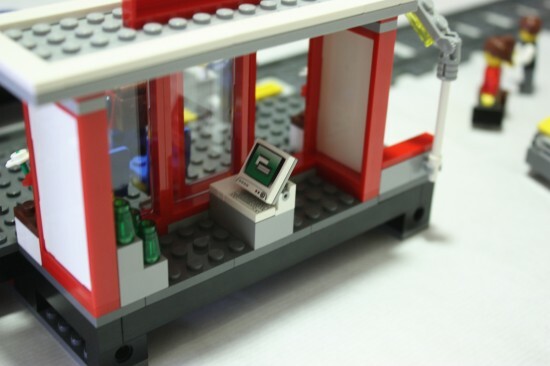 Well, apart of the shop the platforms features a panel with lines information and a ATM machine. Overall, it just look fine. The ATM machine is build with special care to the details. Thumbs up! Featuring two pairs of two level stairs, it is perhaps the most boring part of the set… but it looks so cool when the train moves under them. * The price is damn right. * A bit of decoration on the stairs won’t have hurt it. 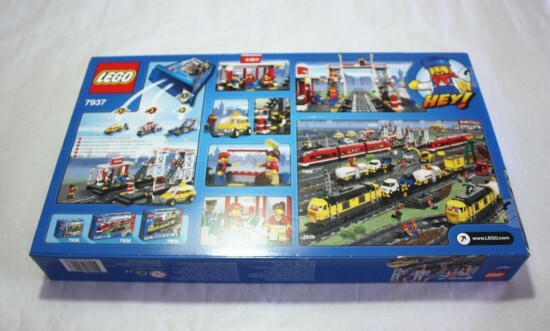 Does LEGO 7937 worth the money? Definitively it does. I got mine from Amazon for barely £30. Subscribe to The Technic Gear newsletter to get deals directly into your inbox.